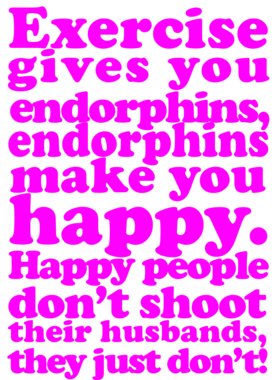 Exercise Gives You Endorphins - Happy People Don't Shoot Husbands Legally Blonde T Shirt comes on a Black 100% cotton tshirt. 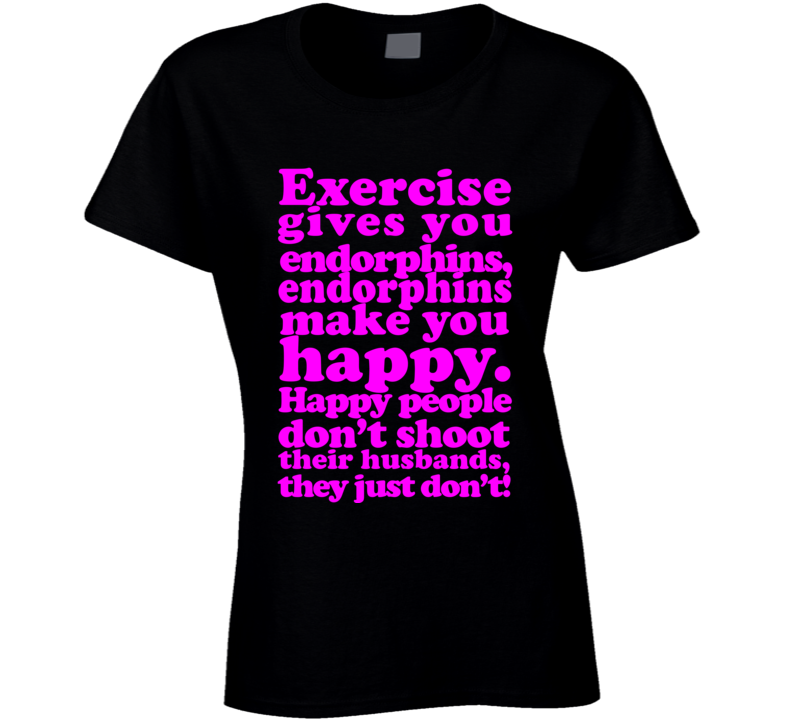 Exercise Gives You Endorphins - Happy People Don't Shoot Husbands Legally Blonde T Shirt is available in a number of styles and sizes. This Movies tshirt ships via USPS.